The social networking features in the latest iteration of the BBC iPlayer have been a success, with 14 million people tagging their favourite programmes in just one month. According to a blog by the BBC's new General Manager for Programmes and On Demand Daniel Danker - recently hired from Microsoft - the changes in iPlayer have worked well, with people finding programmes in less clicks and use of the service increasing steadily. "As we iron out the post-launch issues, there's plenty of good news to share," blogged Danker. "Usage is up and radio consumption is growing particularly fast. Audiences are finding programmes with 20% fewer clicks than before, which is a really great result," he added. "The new personalisation features are also proving very popular, with 14 million of you tagging 'favourite' programmes in just one month." 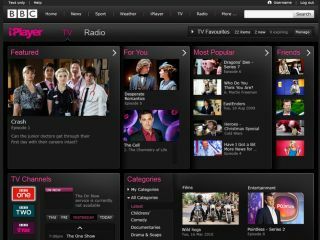 The BBC iPlayer has been a massive hit since its arrival, and the new features appear to have gone down well with the general public. "BBC iPlayer had a total of 114 million programme plays for the month, but the real success story was the week-by-week increase," added Danker. "The last week in September saw 24 million programmes played across TV and radio - the most in a single week since May. "The growth has continued in October, where each week has been stronger than the last."